I am proud to partner with Unilever as an Agent of Change and to represent food that tastes good, does good, and doesn’t cost the earth. All opinions are of course my own. To kick-off the New Year, I think something refreshing and energizing is in order. Something that’s good to keep in mind for kicking off a good new year is: “win the morning, and you’ve won the day.” The habits that we have in the morning have impact on the rest of our day! It’s easy to overlook them, because they don’t claim much attention. Usually (if you’re like me), it’s tempting just to rush around in the morning, and not give thought to those habits. One of the greatest habits you can get into is to start hydrating as soon as you wake up! I feel like it provides mental clarity, gets the blood flowing, digestion going, wakes up every cell in your body and primes your taste buds. This is the perfect drink to wake up to. And I love it because it brews overnight in the refrigerator – no boiling water involved. 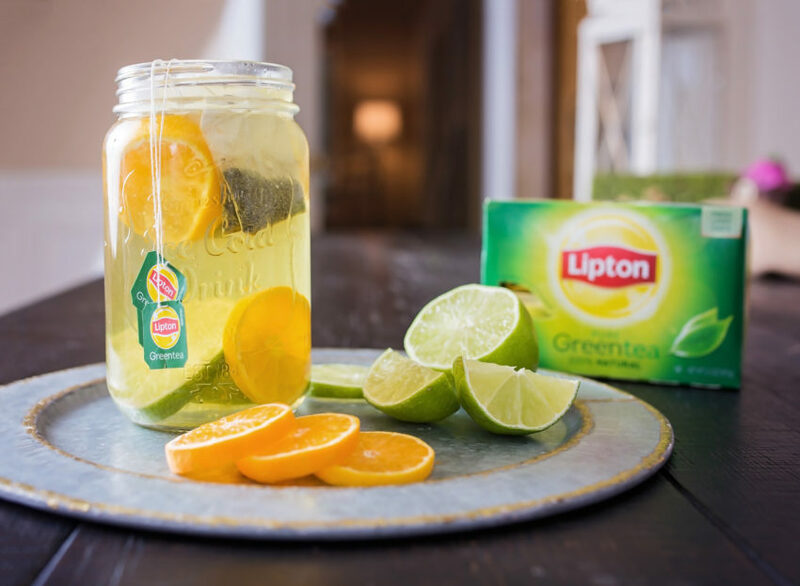 Then, add 3 bags of Lipton® Green Tea. We are finding out more and more the benefits of green tea (yay!) One thing I love is that tea contains flavonoids – plant compounds that help to maintain a healthy heart. It’s recommended that we get 400 mg of flavonoids per day. 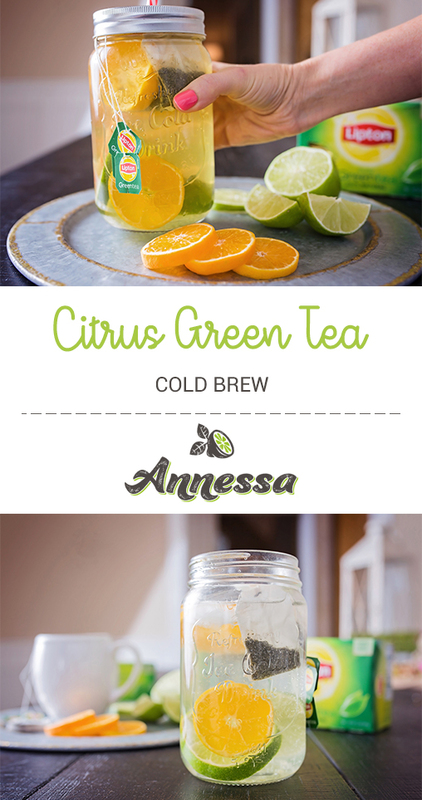 With this Citrus Green Tea Cold Brew, you will be well on your way! 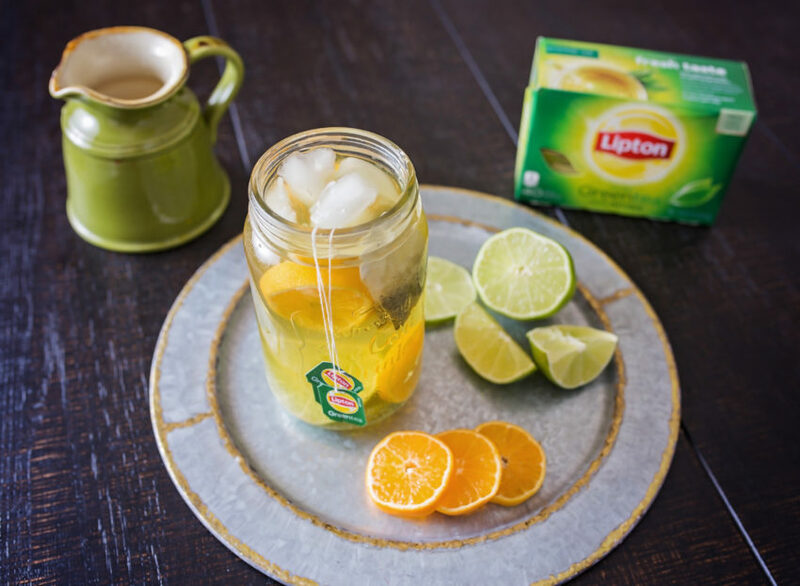 Plus, Lipton® teas are sourced from plantations that are Rainforest Alliance Certified, and they help provide the farmers and their communities access to education – so they do further good, and I love that. Add 24 ounces of fresh water, and let it brew overnight in the refrigerator. 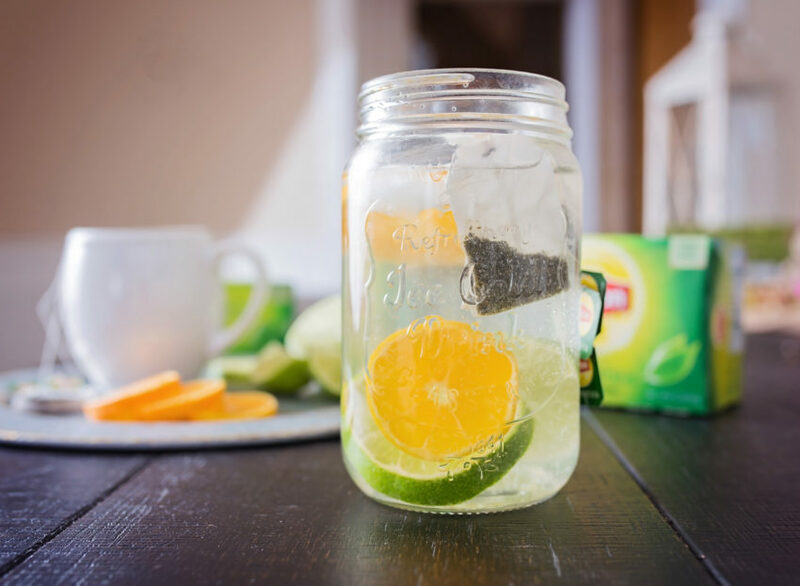 In the morning you will have a refreshing, thirst-quenching drink that will help support an awesome day. I am so grateful for your interest in your health, and I would love to continually support you via Facebook, Instagram, Youtube and Pinterest. Please keep in touch. 1. 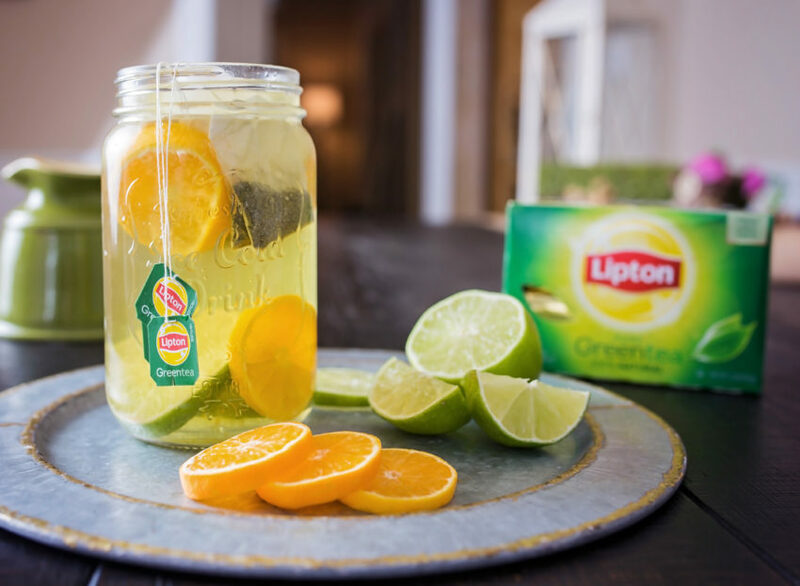 In a large glass or glass jar, add citrus. 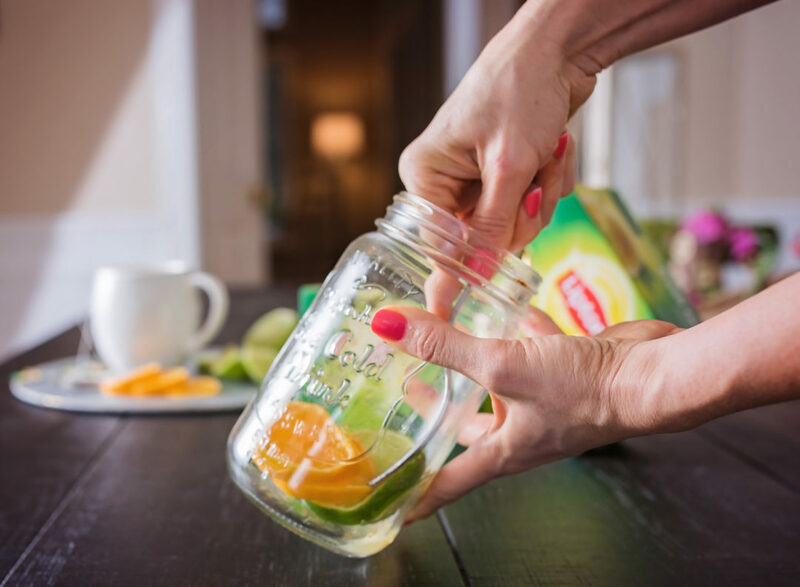 Using a fork, mash the clementine and lime against the side of the glass until most of the juice is squeezed and fruits are muddled together. 2. 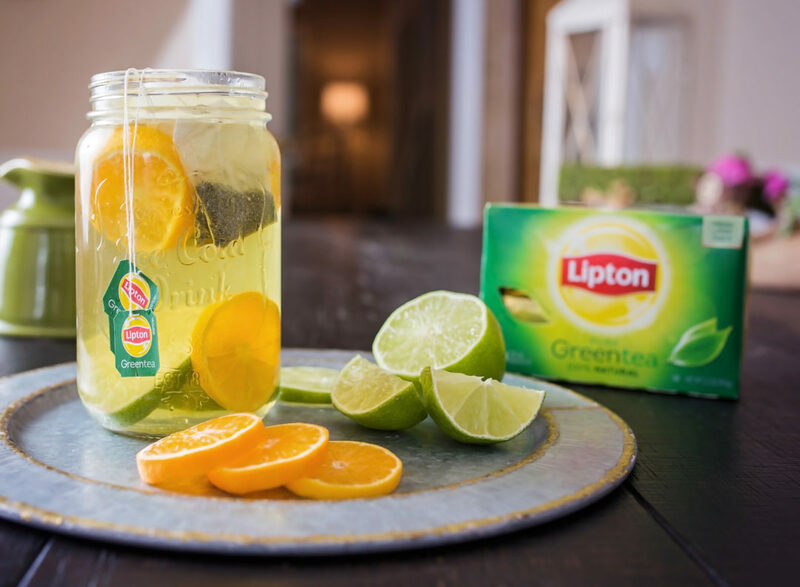 Add in the Lipton® Green Tea tea bags and fresh water. Put in the refrigerator overnight. 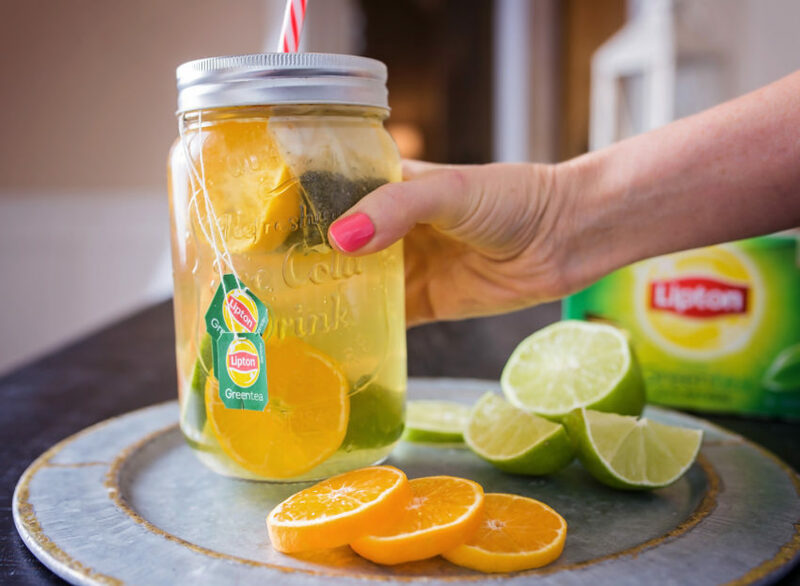 In the morning, add a couple of ice cubes, remove the tea bags, and enjoy a refreshing and delicious thirst-quenching drink!